It probably wouldn’t surprise you to hear that most of us here at the library are big fans of reading. We get to see a lot of books (although, no, we aren’t allowed to read them on work time!) – sometimes it’s hard to pick one favorite! Here are some favorites that we read in 2017. Now it’s your turn – what were your favorite books that you read this year? More favorite books of 2015! One of my favorite books this year was Cinder by Marissa Meyer. This is the first book in her Lunar Chronicles series. I loved this book because it was a mix of fairy tales and dystopian fiction, two genres that are sure to capture and hold my interest. This first book tells the story of Cinder, a cyborg, who also is a gifted mechanic. Because she is a cyborg, she is treated as a second-hand citizen. Her stepmother hates her and blames her for her stepsister’s illness. Cinder meets Prince Kai very early in the book and we quickly see that in order for him to avoid war with the Lunars, he may have to marry the evil Queen Levana. This book has everything in it that I wanted and expected: fabulous world building like you find in dystopian fiction and really thorough character development that actually gives her stepsisters and stepmother full personalities and doesn’t just leave them as hateful people. I also thoroughly enjoyed the fact that Cinder wasn’t the typical heroine! She was a mechanic and knew how to fix things, no matter what was wrong. Such a breath of fresh air when it comes to young adult fiction. There you have it, some of best loved books of 2015 from our bloggers. What about you – what was your favorite book that you read in 2015? And what do you plan to read in 2016? More favorites from our Blogging Librarians! Rachel nominated two books as her favorites for 2015. It’s the end of the year and that means taking a look back at some of our favorite books. Here are some favorites from our blogging librarians. Lynn’s favorite book would make a great summer read or anytime read! Favorite books read in 2013 by our Info Cafe bloggers continues. Rita is a big fan of audio books and choose one author as her favorite to listen to. “I have read and listened to Kathy Reich’s Temperence Brennan from the beginning, 15 titles and counting. It is a wonderful series about Temperence being a forensic anthropologist holding two positions, one in North Carolina and one in Quebec, Ontario. Her cases are based on real cases in Kathy Reich’s experience as a forensic anthropologist. Temeperence has adventures and misadventures most people wouldn’t live through. 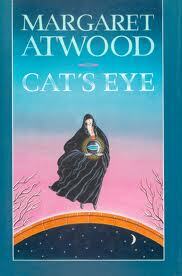 What I like best about her writing is that her writing has stayed the finest quality through all 15 books. 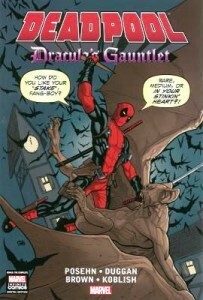 Some series I read, you can tell when it has become a chore for the writer to continue the series. 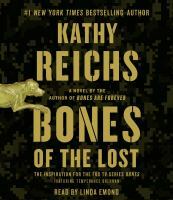 Her newest book, Bones of the Lost, continues with that quality”. 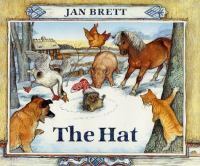 Bill’s favorite (and most read) title is the children’s classic The Hat by Jan Brett. With beautiful illustrations reminiscent of Nordic folk art, Brett weaves a fun and charming story about animals discovering warm winter headgear. This book is especially great when you do different voices for each animal, much to the delight of the littlest reader. There’s still more to come! Stop back on Monday for our final installment of 2013 favorites! It’s that time again – the end-of-the-year recap time! Here at Info Cafe we’re going to take a look back at our favorite books of the past year. Not all of these books were published in 2013, but were read and enjoyed in 2013. Enjoy! Lexie gets us started with a YA title that several of us liked, Eleanor & Park by Rainbow Rowell. 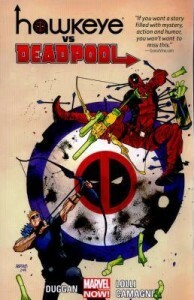 “This is a beautiful story of two misfit teens who against all odds find each other and find happiness. their friendship begins over a shared love of comic books and music, and over time is grows very naturally into first love. I’ve read a lot of YA love stories, and I can easily say that this is one of the most realistic I’ve read. It is genuine, moving, and very charming, and I would recommend it to just about anyone”. Amber’s up next. “Although I may have felt slightly lonely in my praise of J.K. Rowling’s first post-Potter-publication, The Casual Vacancy (compare Maggie’s full review of ithere to my quick end-of-year review here), there is almost universal adoration for Rowling’s second offering, The Cuckoo’ Calling, about a rough detective named Cormoran Strike who tries to prove the suicide of a London It-Girl was really a premeditated murder (Once again, you can see Maggie’s full, eloquent review here). Ms Rowling released The Cuckoo’s Calling under the pseudonym Robert Galbraith, and much to her dismay (and my delight) it only took several months for her secret to leak into the press. I have long been a fan of mysteries, but usually of the cozier or historical sort, and I probably would have bypassed The Cuckoo’s Calling due to the gritty, contemporary setting and missed out on Rowling’s amazing storytelling and beautifully crafted characters. According to Robert Galbraith’s website, we can expect another Cormoran Strike mystery in 2014 – Hurrah”! Check back tomorrow for more of our picks for 2013! 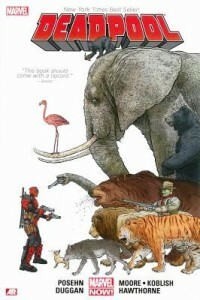 Here’s the last entry in our Best Books of 2011 from our blogging librarians. 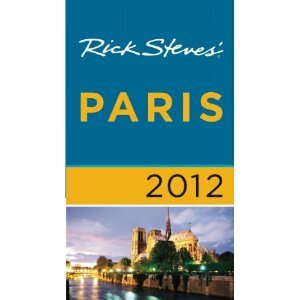 Now it’s your turn – what was your favorite book that you read in 2011? Let us know in the comments! Best wishes for a Happy New Year in 2012 – may it be overflowing with great books! More best books from our Blogging Librarians! Michelle and Lexie kind of cheated since they each picked two titles; however, they’re both so good at picking books we don’t mind a bit. Michelle starts with a mystery. 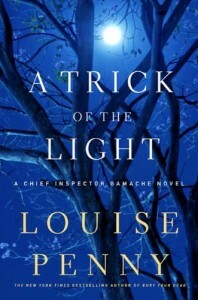 “Louise Penny’s quirky, yet endearing characters make A Trick of the Light one of my favorite mysteries of the year. Penny’s clever writing style combined with her main character, the legendary Inspector Armand Gamache, make for a superb mystery book (and the latest release in the series)”. Read more in her blog post from earlier this year. A fiction book is Michelle’s second pick. 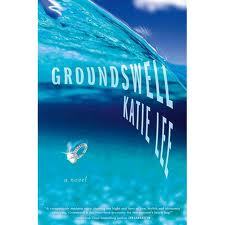 “Katie Lee’s debut work of fiction, Groundswell was a favorite beach read in 2011. Groundswell follows a main character who becomes caught up in the glitz and glamour of stardom only then to discover what is important in life after a traumatic event”. Michelle’s blog post about this book is here. Lexie says go big or go home with George R. R. Martin’s series A Song of Ice and Fire. “An epic fantasy series set in a land where seasons can last for decades. The series is filled with political intrigue, plenty of shocking plot twists, romance, and engaging characters who don’t fit into a traditional mold of good or evil. 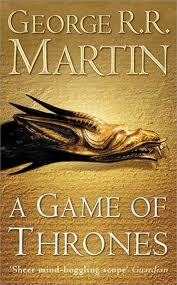 This complex world that Martin created has become an absolute obsession for me; the fifth book was just released in July and I’m already eagerly anticipating the next installment”. Read more from Lexie about it in her earlier blog post. 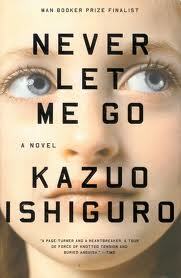 Her second pick is Never Let Me Go by Kazuo Ishiguro. “31-year-old “carer” Kathy looks back on her youth, which was spent in an isolated English boarding school with her two best friends and plenty of secrets. This book is haunting and incredibly thought-provoking. I couldn’t put it down once I started, and I couldn’t stop thinking about it once I finished”. Lexie blogged about it here. It’s that time again – the end-of-the-year recap time! Here at Info Cafe we’re going to take a look back at our favorite books of the past year. Not all of these books were published in 2011, but were read and enjoyed in 2011. Thanks to our diverse group of bloggers, over the next few days you’re going to find a wide range of titles covering all kinds of interests. Enjoy! 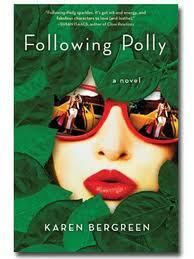 Lynn’s favorite book was Following Polly. “It is rare to find a book that surprises you by breaking out of whatever preconceived ideas and expectations you had about what the book was going to be. 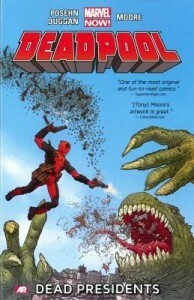 I also love a book that makes you laugh out loud, or at least snicker a little. Often these are the same books that make you a little sad when you finish them because you’ve come to liek the characters in all their eccentricity and weirdness”. Lynn tells you more about the book in her blog post from earlier this year. Amber’s vote goes to Me…Jane by Patrick McDonnell. 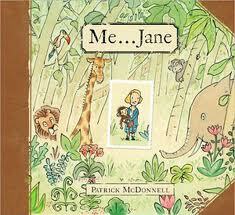 “In Me…Jane by Patrick McDonnell (creator of acclaimed comic strip Mutts), the reader is introduced to the amazing Jane Goodall as a little girl having adventures with her stuffed toy chimp named Jubilee. Together they begin to wonder about the natural world and explore it for answers – all lovingly captured through the simple, emotive art of McDonnell and actual images of Jane’s childhood drawings and ephemera. Me…Jane is easily my favorite picture book of the year, and, judging by how many people on my holiday gift list will be receiving a copy, it has swung up to be my favorite book of 2011 overall”.